This past weekend, I competed in an event here in Austin called Create for the Kingdom. It's a weekend-long hackathon and film challenge geared towards Christians wanting to use their talents for good. Apps and films were created to change hearts and solve problems relating to foster care, human trafficking and persecuted Christians, to name a few. The task my team tackled was to create a Christian resource for the deaf community. The fourth largest unreached people group, the deaf have a great need for the message of the Gospel in a form they can understand. So we set out to create a purely visual retelling of the prodigal son story as a way of demonstrating God's grace, love and forgiveness. It was a huge challenge, but great experience in visual storytelling. We wrote, shot and edited the film all in one weekend starting late Friday night and submitting it by 1:30 p.m. on Sunday. Our actresses were incredible as well, dropping everything to film with us when we called them out of the blue on a Saturday morning. This was the first time the event had included a film category, so there were only a few other teams, but it was still an honor to win the prize for Best Runner-Up! 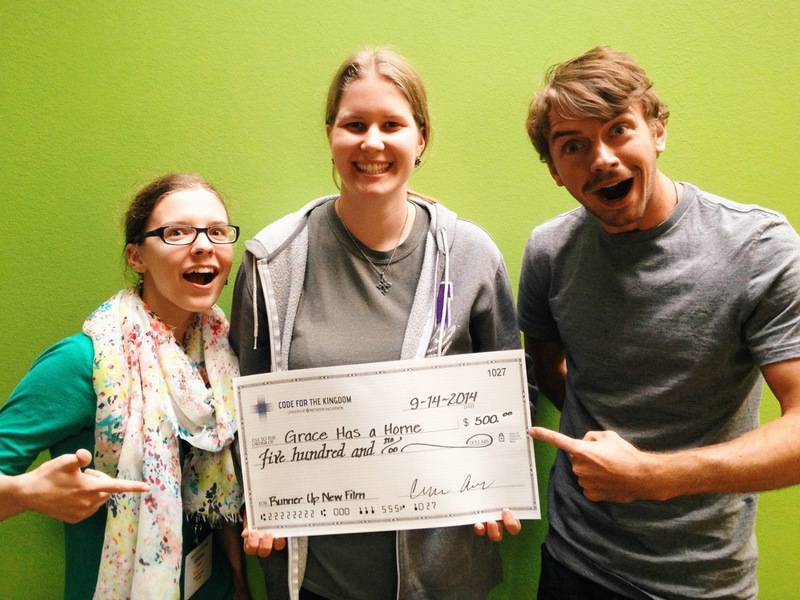 We even won a giant check! Speaking of checks, check out our film below!